A 7-6 win over Finland’s Oona Kauste (0-5) at the Silkeborg Sportscenter left Chelsea Carey’s Canadian team with a 3-2 record and feeling much better than it did a few hours earlier following a loss to Japan on Monday afternoon. The Canadians never trailed, and while there were still some moments of the kind of inconsistency that has plagued the team through the first three days in Denmark, they were fewer and far between against the Finns. Canada scored one in the first and then stole a beautiful point in the second thanks to a precise hit-and-roll on Carey’s final stone; Kauste’s attempt at an in-off double-takeout removed just one Canadian stone. The Canadians stretched the lead with a deuce in the fourth, and were never really threatened the rest of the way. 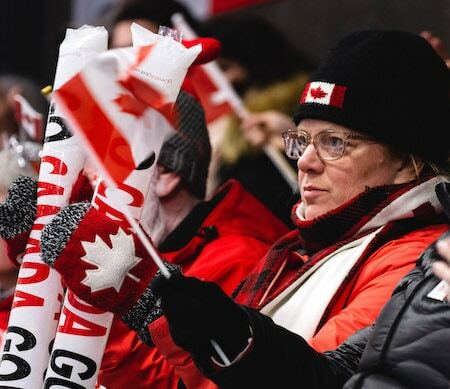 It was an important victory — not only in the standings as it kept Canada firmly in the race for one of the six available playoff positions, but also from a confidence standpoint. The latter, admitted Ferguson, has been an issue at times here. Part of that, undoubtedly, can be attributed to rookie nerves as Wilkes, Ferguson and Brown all are making their world championship debuts. They’re also getting more comfortable with the ice conditions as the weather outside has improved considerably, leading to improved ice conditions inside. 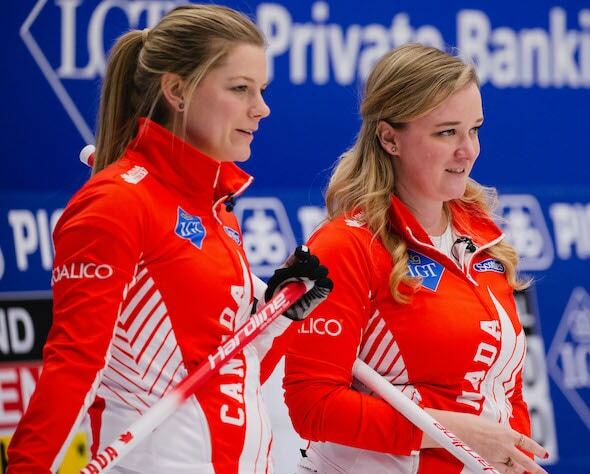 Team Canada is back on the ice for a pair of games on Tuesday, at 9 a.m. (all times Eastern) against Scotland’s Sophie Jackson (3-2) and at 2 p.m. against Jamie Sinclair of the United States (2-3).